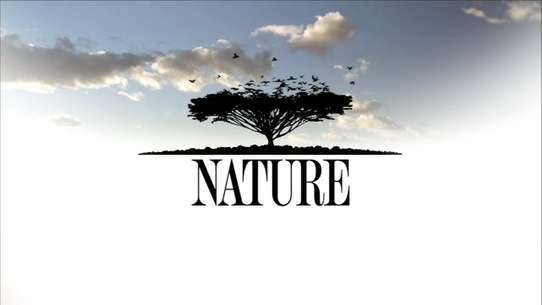 Research meteorologist Josh Wurman has teamed up with extreme filmmaker Sean Casey to form an amazing partnership. They both share the goal of intercepting a tornado, but for entirely different reasons. Josh needs an individual who can carry his scientific instruments into the vortex of a tornado, and Sean needs someone who can direct him into the correct position to capture incredible IMAX footage. 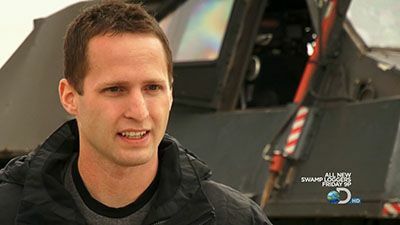 Filming from the turret of his custom-built Tornado Intercept Vehicle (TIV), Sean puts his life on the line as he endeavors to get the most elusive tornado footage ever shot. He and his battle-hardened team will risk everything as they drive the 14,000-pound armored TIV straight into the heart of a deadly twister. As the leader of the team, Josh guides the TIV and the mobile scout vehicle toward "intercept" from his captain's chair in his mobile command post -- the Doppler On Wheels (DOW) truck. Josh must make critical split-second decisions from information he gathers from his Doppler radar as the safety of the entire team rests on his shoulders. Wyoming sets the stage for an epic tornado showdown. Sean Casey's meteorology scouts finally put him in position for the IMAX shot of a lifetime and this time he hits a home run. 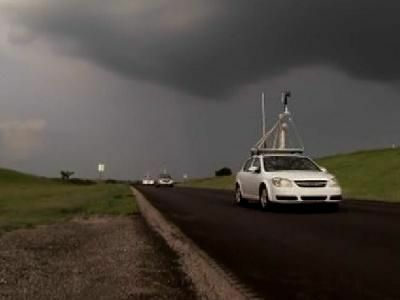 Josh Wurman's Vortex 2 science team makes history, achieving the most complete tornado life cycle data ever recorded. On the last chase of the season, Reed and Tim have one last chance to achieve their ultimate goals, but the Nebraska storms won't give up their secrets without a fight. 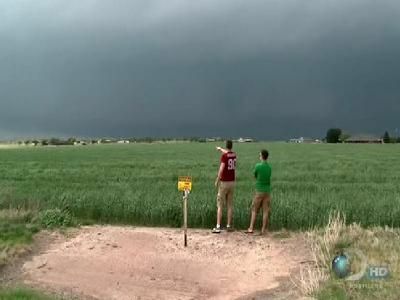 Tim and Reed intercept multiple tornadoes, trying to capture inside-a-twister radar data. 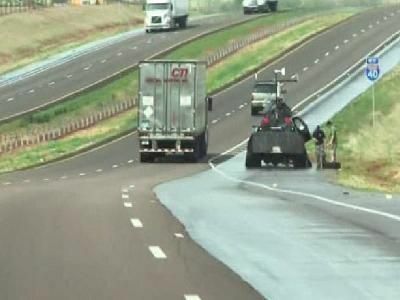 But when a twister intensifies into a monster wedge right on top of Reed's armored research vehicle, Mother Nature shows who really dominates in Tornado Alley. This program is dedicated to the memory of Matt Hughes, 1979-2010. His family requests that his last chase be shown in this special episode. The supercell system tearing across South Dakota spawns a massive tornado that gives all the teams plenty of almost non-stop intercept action. Reed and Josh's teams struggle to find the perfect storm in Nebraska. Reed's girlfriend Jene gets lost in a deadly hailstorm while the DOW fleet mistakenly drives into an oncoming tornado. Reed is so excited to use his new probe cannon that he has trouble perfecting his aim when he's confronted with a series of tornadoes. 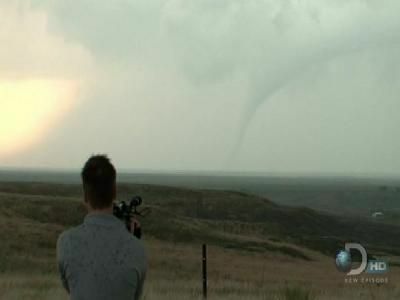 While Tim is away, the TWISTEX team weathers some strange atmospheric occurrences in South Dakota and gets pinned between two violent twisters. Sean and Josh Wurman agree that the TIV may continue operating, but only if it maintains a 75-mile distance from VORTEX2, which leads to frustration when both teams target the same storms. Sean's team struggles with the death of a teammate, and heightened emotions lead to questionable driving. Reed arms the Dominator with probe cannons, while Tim smokes out a South Dakota monster that just keeps growing, and discovers there's no way out when you're in the path of a perfect storm. 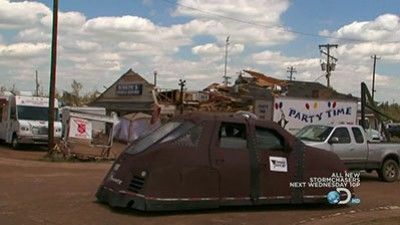 With a record-breaking tornado season already underway, Josh and Sean race to get the new DOW6 and the bigger, badder Tornado Intercept Vehicle, TIV2, on the road. 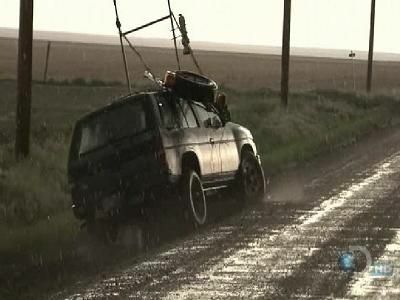 Reed, meanwhile, has been chasing for weeks, already surviving a harrowing near miss and a hailstorm that takes out the TVN's windshield. The DOW and TIV finally get out the gate, but it's the SCOUT team that faces the first big challenge -- a dangerous night chase. 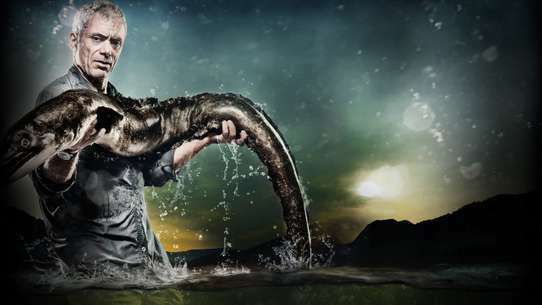 In the final weeks of the season, Sean is desperate to get the shot he is trying to achieve. 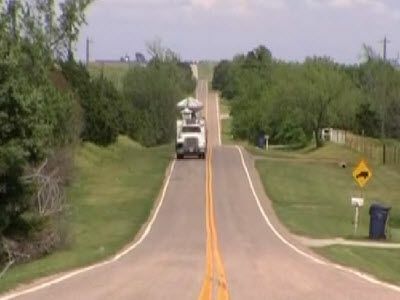 A tornado forms earlier than expected and nearly touches down near Woodward, Oklahoma. In the middle of the programme, the TIV breaks down and the team lose two valuble days chasing. On the last day of the season, all the teams are on the verge of defeat when a cell erupts near Nickerson, Kansas. The TIV manages a valuble intercept and gave Joshua Wurman vital data. 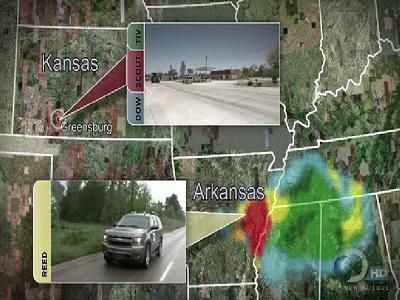 The Storm Chasing team are chasing again after a slow period in the 8-week tornado season. The team are chasing in the Texas Panhandle where a monster supercell threatens the TIV team as they try to intercept the cell. 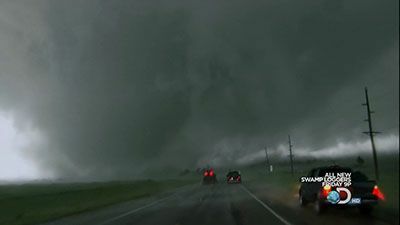 The team miss and chase into Kansas where a supercell explodes producing multiple tornadoes near Protection, Kansas. Once again, the team fail to intercept the storm. 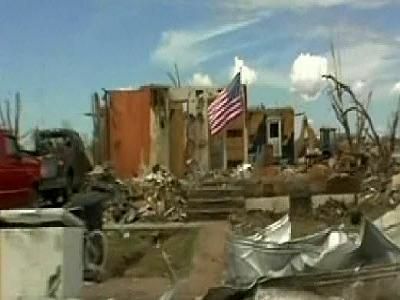 April 27th, 2011 will go down as the deadliest tornado day in well over half a century. Hundreds of twisters are touching down all over parts of Mississippi and Alabama known to chasers as "Dixie Alley". There are multiple confirmed EF-5 tornadoes, the most powerful classification. Teams Dominator, TWISTEX and TIV are all in Dixie Alley and on the hunt, with front row seats to some of the day's most breathtaking storms. Acting as storm spotters, they're reporting the tornadoes and attempting to get warnings out. But when a violent twister tracks toward the heart of Tuscaloosa, Alabama, all three teams are faced with death and destruction on an unimaginable scale. 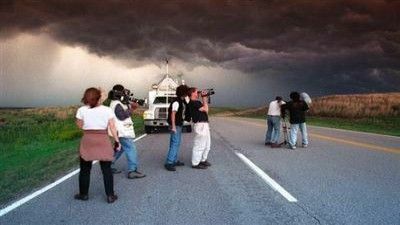 This episode features interviews and documentary footage with the show's production crew, explaining how they accompany the storm chasing teams and the difficulties they encounter working under intense conditions. Teams TIV and TWISTEX team face off against a huge rain-wrapped monster tornado. Meanwhile, Reed launches a remote control plane to drop data-probes right into a tornado, a feat never achieved in the tornado research community. 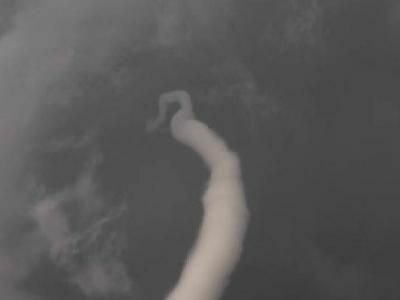 But remote control isn't enough for Reed as he punches right into an erratic EF2 tornado, only to find himself surrounded by powerful vortices and no time to get out of their way. It's the last chase of the season, and Mother Nature is going out with a bang. Team Dominator is chasing a monster tornado for a radar intercept. Team TWISTEX has one last chance to successfully deploy their probe while TIV still needs 3D footage from inside a twister. But how do you pick one that won't kill you? As the team try and chase a cell near La Crosse, Kansas, they hear that an EF-5 tornado has struck the town of Greensburg, Kansas. This was the first tornado in 8 years to be given this rating. 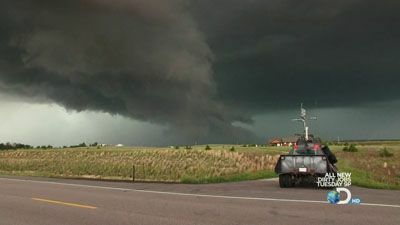 At the same time, the members of Tornadovideos.net manage to intercept a cell near Woodward, Oklahoma. Sean and Josh hear about this while in Hays, Kansas after a long and costly chase day. Team Dominator risks everything to warn people in the path of a violent storm, but internal strife threatens to end their season early. Still gun shy after witnessing devastation this season, Sean Casey is trying TIV team's patience. In the wake of the deadliest tornado outbreak in more than fifty years, all three chase teams take time to help with the recovery effort. Motivated by the death and destruction they've witnessed, all three teams are rededicated to improving warning times and doing vital research on these deadly storms. 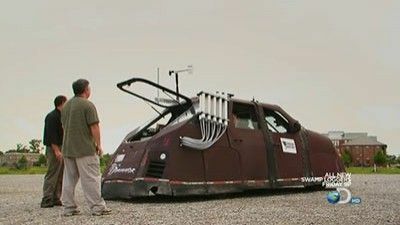 Team Dominator fields a new, improved vehicle and tracks a storm right toward one member's childhood home. Team TWISTEX outfits their truck with a brand new probe and a mobile Doppler radar, but mechanical issues threaten to sideline them again. 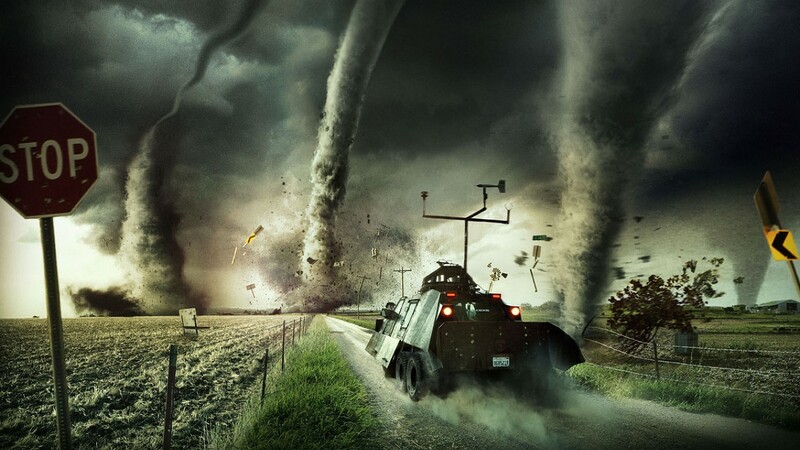 Team TIV adds a mobile tornado siren and chases toward the heart of a twister to warn people while shooting 3D twister footage. As the first violent tornadoes of the season rip across the Midwest, the teams pick up the chase in Oklahoma. 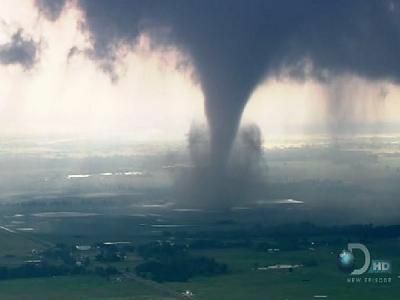 Veteran Tim Samaras finds a swarm of tornadoes that offer plenty of opportunities for deploying his science probes. Meanwhile, Sean Casey's new TIV Doghouse crew struggles to get him that inside-a-twister IMAX shot and the chase ends in a screaming match. But when Reed Timmer debuts his Dominator, he scores an unprecedented intercept.